Certainly, sometimes in a dream you have the feeling that you are dreaming. 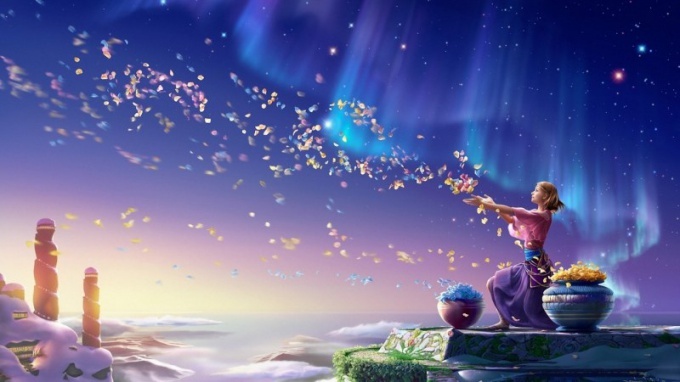 This feeling is called a lucid dream, during which you clearly represent that you are in your own dream. If you master the technique of such dreams perfectly, it is soon possible to learn and control himself in the dream, i.e. to run it the way you want. Tune in to a lucid dream. To do this, remember the feeling of self-awareness in the dream and hold it as long as possible. Before you go to bed think about what you dream and how you should behave. Think of some trick or trick, which can perform only in a dream. For example, do flips or jump. This will help you to realize. Imagine that you can all — of course, when you find yourself in a lucid dream. You are the magician, the magician that everything in the world obeys you, because the way it is, your dream is a whole universe, which cannot exist without you because you created it. Bring a sense of dominance over the world into reality, it will help you to train your mind. You need to remember this feeling and be able to call him at any time. Start to control their dreams small. Realizing itself in a dream, for a start, look around, look at the objects created by your subconscious. And then train yourself to control your body. You like to fly in a dream? Fly, this would be a good workout — and "body" and consciousness, because you can fly wherever I want. Call any image according to your desire. For example, make you dream your friend. After single images go to their aggregates with an effort of consciousness appear in various familiar and not familiar. Once you perfectly master the control of images, you will easily be able to control all the activities in your dream. Nice to Wake up rested, joyful and happy. This happens when a person sees a beautiful dreams where he is in a safe place, surrounded by the warmth and kindness. Such dreams you may call yourself, if I work out a little. The most difficult to manage a dream is to realize that it's just a dream, and there you can do whatever you want. Do not set limits, all events are only a figment of your imagination, so do not be afraid, for example, to fall and break. You may turn into a fabulous creature, or go to travel. No special exercises to change sleep no, it's your subconscious, and you manage it themselves. To lucid dream appeared before you go to sleep, tune in to what you will manage your slumber. You need very much to want it. Usually, the dream reflects the emotions and events that filled the day, so you should from time to time to reminisce about his desire. Write down all your dreams. Get a separate notebook and put it next to the bed. The dream is quickly forgotten, so it should be set to capture on paper. As soon as you Wake up, scroll through the dream in my mind and write it down. Try as accurately as possible to convey all the feelings. Day try to scroll in the mind of dream on the eve, re-read the book. Compare the feeling from the dream and the reality. Find visible differences, so you better tune into the realization of their dreams. Regularly do this exercise. When you next anything you dream, you will already know that this is unrealistic. Try to use this technique. Throughout the day ask yourself, "what if this is a dream?". Be sure to ask yourself this question after every unusual or significant event. Remember how you got here, analyze your feelings. Once you really ask yourself this question in your sleep. In the dream, you can get rid of many of their fears. Just tell the source to come and talk to him. You have to understand that this is just a dream. Communicate with your fear, pay attention to what he says and will do. After that, you cease to be afraid of in real life. If the same dream to call many times, for example a fabulous house-a shelter in the beautiful natural environment after some time it gets easier. You can quickly be there if you have nightmares. Decorate dwelling the magical things that will help you to recover and relax.